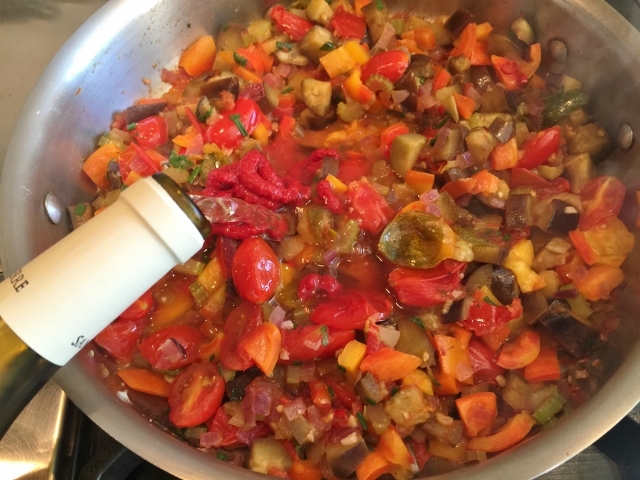 Garden Caponata - Recipe! - Live. Love. Laugh. Food. 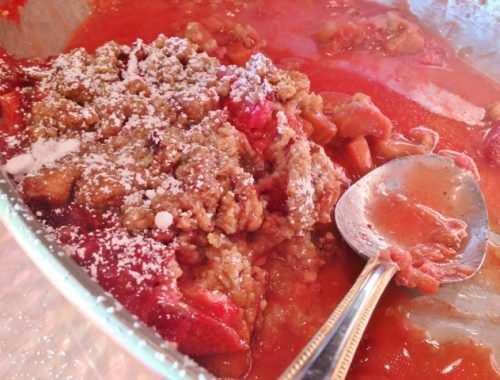 I love making fresh summer recipes with my homegrown fruits and veggies and you can too, whether they are from the backyard, the local farmer’s market, or grocery store. 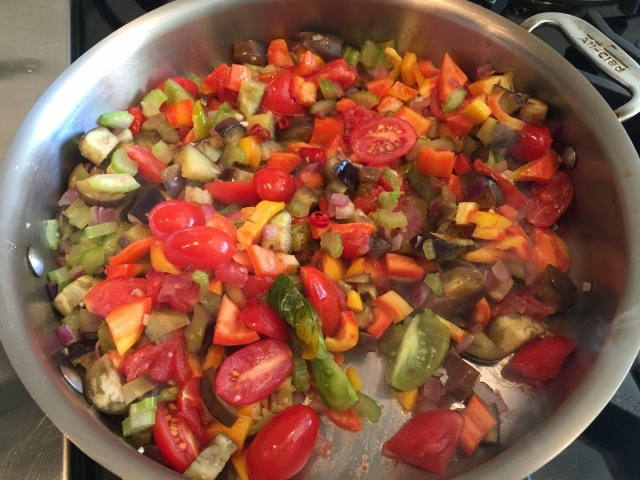 The weather is just beginning to heat up and during the next few months, I try to create lighter dishes and utilize what this season has to offer, like in this recipe for Garden Caponata. 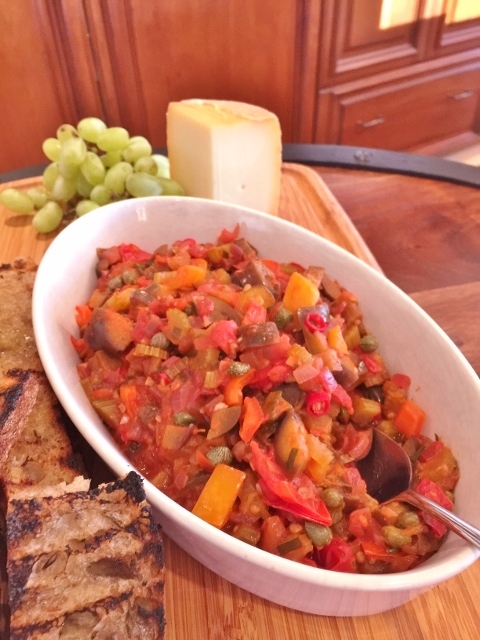 The best ingredients for a caponata start with eggplant, celery, onions and garlic, but what really adds flavor is using a variety of tomatoes and peppers. You can use any type of tomatoes, like Green Tiger Striped Tomatoes or Big Beef Tomatoes for a nice contrasting sweetness, and a few Cherry Tomatoes for a hint of tartness and texture. 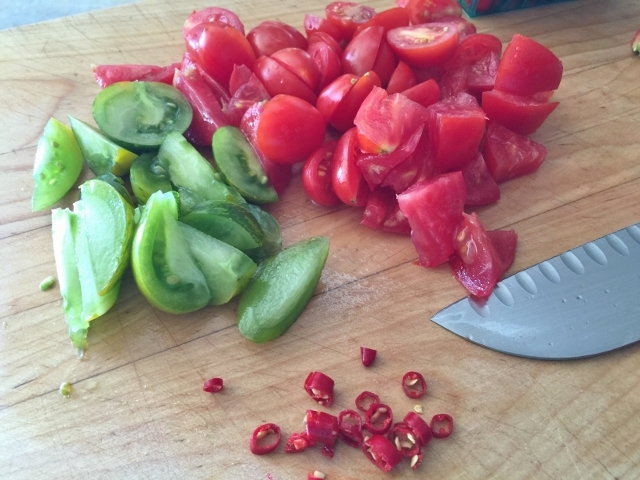 Peppers are also key in a good caponata, so I took the non-traditional route and used a Red Thai Chili, which adds a bit of heat, but a good ole jalapeno will do the trick as well. 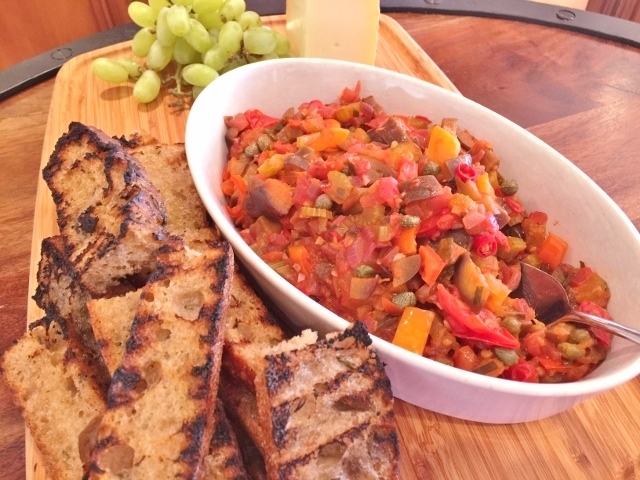 Garden Caponata is great served warm, room temperature or chilled. 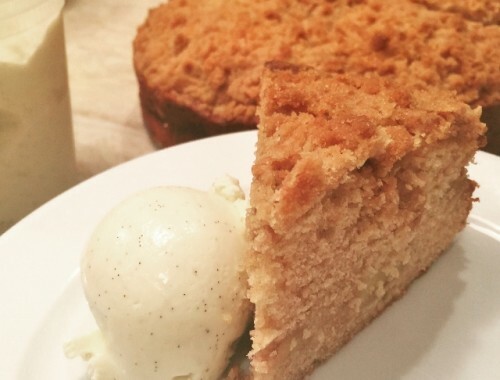 You can spoon it over grilled bread, or crackers and it’s also nice over pasta, chicken or fish. It’s great for outdoor entertaining and picnics too because it won’t spoil in the summer heat. 1. 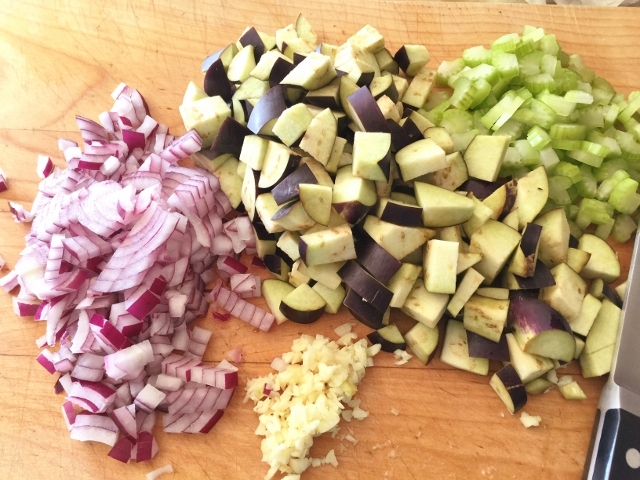 Slice celery and dice eggplant and onion. Mince garlic finely. 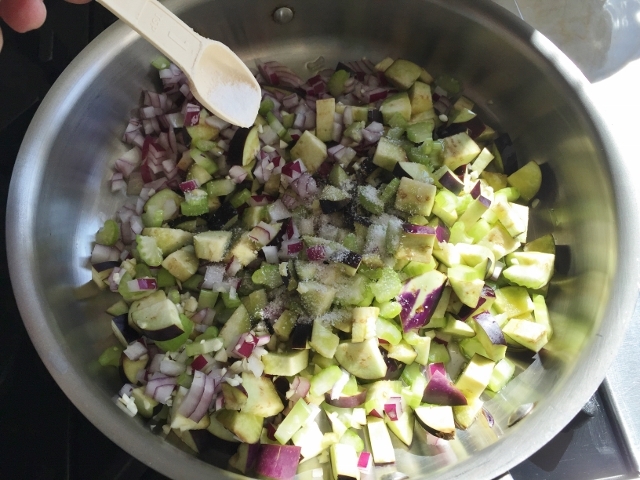 In a large saute pan, add 3 tablespoons of olive oil and add onion, eggplant, celery and garlic. Turn heat to medium and saute for 5 minutes. Add 1 teaspoon of salt and continue cooking for 3 minutes. 2. Dice tomatoes, chili and peppers. 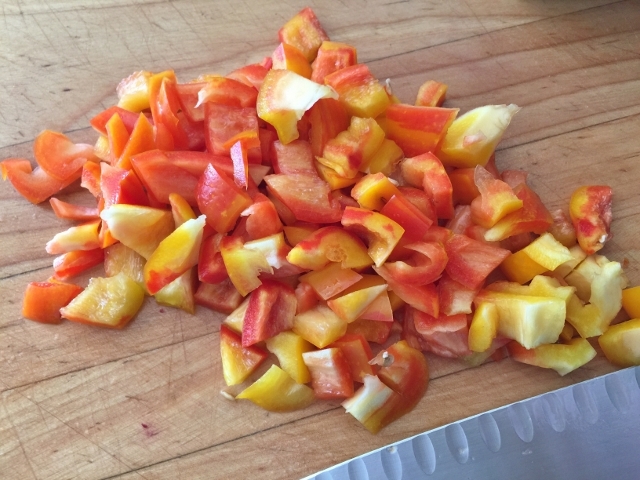 Add tomatoes, chili and red bell pepper to eggplant mixture, and stir to combine. Saute for 6 minutes. 3. 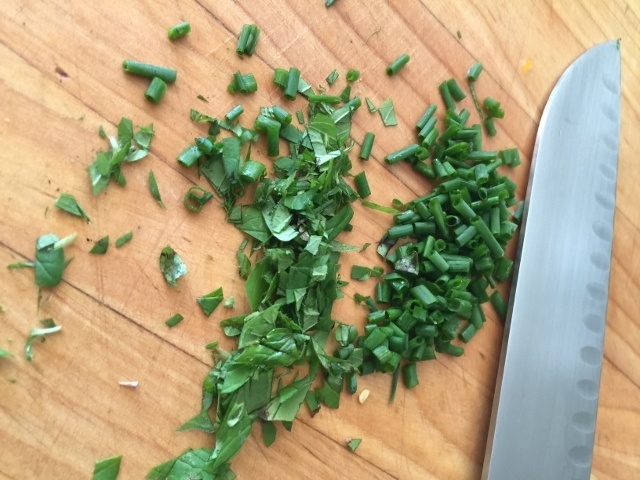 Chop fresh herbs and add to caponata. Sprinkle in chili flakes, stir. 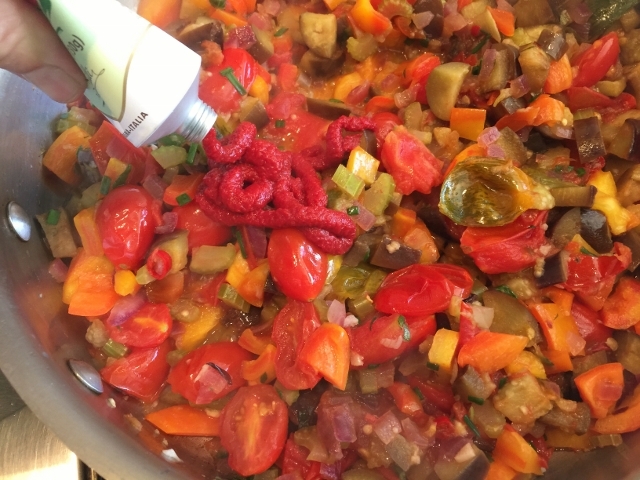 Add tomato paste and white wine and stir to combine. 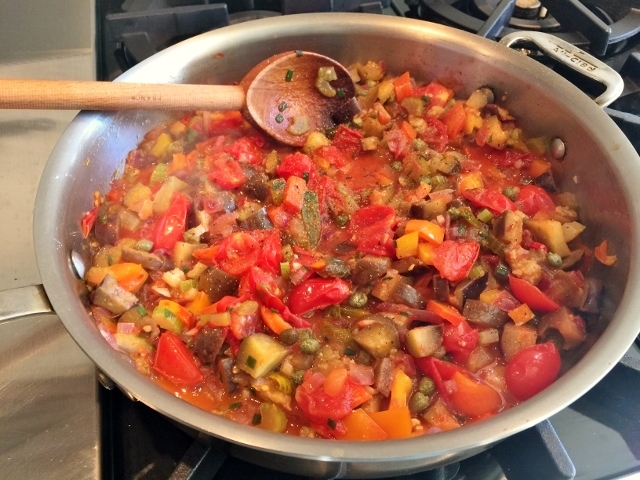 Continue cooking caponata for 5 minutes, until wine reduces by half. 4. 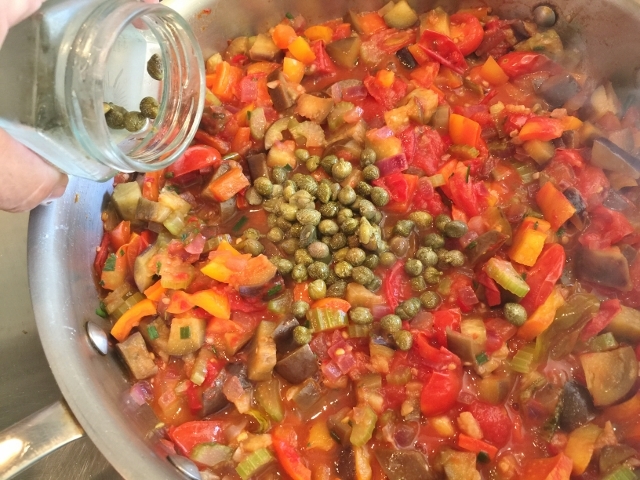 Add capers and continue to cook for 3 minutes, or until vegetables are soft. Add a pinch of black pepper and more salt, if necessary. 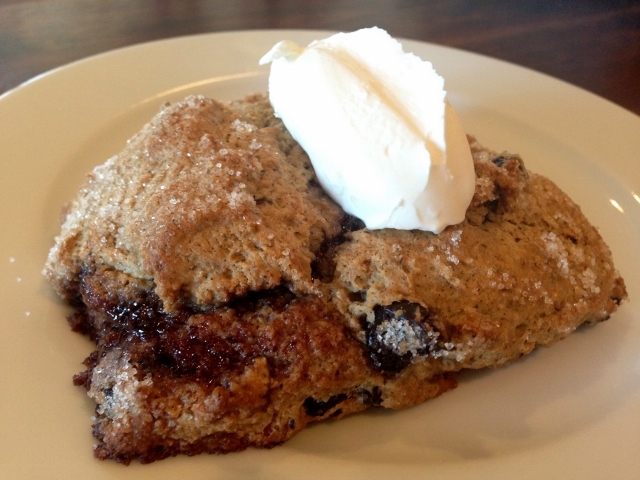 Serve with grilled bread, Enjoy!